The series of half hour shows which are produced at Fairfax Public Access (FPA) and aired on cable in Fairfax County Virginia on Channel 10 during the second and fourth weeks of each month since 1997. The times are Sunday afternoons at 1:00 PM, Wednesday nights at 8:00 pm and Saturday mornings at 7:30 am. The shows are also available on public access stations in over half the states. The show was started in order to share information with others who are interested in doing genealogy. We try to bring experts in various specialities to share their knowledge. Since most of us came from various parts of the world, a large number at the start of the last century, we share different difficulties in finding our ancestors. We discuss how to gather information from many of the countries of origin. Begin in October 2017, the show is be arranged by the Mount Vernon Genealogical Society. We started to place the video of some of the shows on the internet. The shows that can be seen in their entirely are marked with "VIEW NOW " symbols. Contact us if you want us to email you when we add another show to the internet or if you would like to get a show in DVD format. 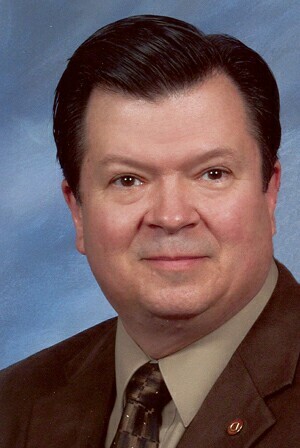 Our expert hosts are Charles S. 'Chuck' Mason, Jr., CG, Janell Blue, Arline Sachs, and Sallyann Amdur Sack, Ph.D..
Charles S. “Chuck” Mason, Jr. CG is a Certified Genealogist. He is a Past President of the Fairfax Genealogical Society and also of the Mount Vernon Genealogical Society. Chuck teaches genealogy classes for the Fairfax County Adult Education program and lectures at many conferences in the Mid-Atlantic area. He is a frequent contributor to the National Genealogical Society’s Magazine and authors “Genealogy News and Issues” for their on-line newsletter, Up Front with NGS. Janell Blue is currently president of the board of Mount Vernon Genealogical Society. She is also a member of the Association of Professional Genealogists, National Genealogical Society, Fairfax Genealogical Society, Texas State Genealogical Society and Ulster Historical Society. She is a native Houstonian and has conducted considerable research on her family lines who were among the early German immigrants to Texas. Additional projects have included early families in eastern North Carolina and New Hampshire. Prof. Sachs is retired from teaching Computer Information Systems at Northern Virginia Community College. She held many positions in JGSGW including President, Vice President, Recording Secretary and computer consultant. 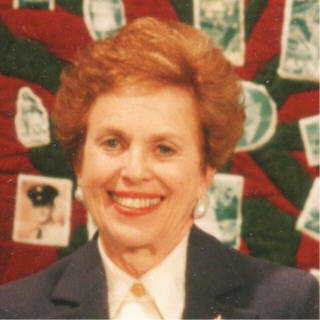 She was the Secretary of the International Association of Jewish Genealogical Societies (IAJGS) and started and headed its International Cemetery Project for seven years. She is the author of "The Dairies of Bernhard Cahn, ...". Dr. Sack, past president of the International Association of Jewish Genealogical Societies, was the founder and first president of JGSGW and is currently editor and co-owner of Avotaynu, The International Review of Jewish Genealogy. She co-directed several international genealogical seminars, including two in Israel and has served on the advisory committee of the Dorot Genealogy Center at Beth Hatefutsoth in Tel Aviv. Dr. Sack has co-authored several books, including Where We Once Walked: A Guide to the Jewish Communities Destroyed in the Holocaust and Guide to Jewish Genealogical Research in Israel. She edited Avotaynu Guide to Jewish Genealogy. LaBrenda Garrett-Nelson, JD, LLM, CG®, CGLSM talked about ethics with DNA. LaBrenda Garrett-Nelson, JD, LLM, CG®, CGLSM talked about recent events with DNA. Carol Kostakos Pertanek talked with Chuck Mason about "Digitizing and Preserving the World Records. Mike Brownell and his counsin Juho Nieminen who is visiting from Finland talked about how they found each other. Peter Lande, a volunteer at the United States Holocaust Memorial Museum (USHMM), talked about how one should do research there, starting on the second floor. Our panel of experts talked about some common errors made by them when they started to do genealogy. Sharon Hodges, CG joined our hosts Chuck Mason, CG and Arline Sachs to talked about the importance of recording proper citations for all your genealogy information. Pat Stamm, the education manager of the National Genealoical Society talked about the educational opportunties available for genealogy. Sharon B. Hodges, CG talked about knowing the local history. Pat Stamm talked about the differ death records. Sharon B. Hodges, CG talked about avoiding pittfalls. Richard Camaur talked about the important of knowing history when doing genealogy. Richard Camaur joined our host to talk about the coming to an understanding between you and the professional genealogist before hiring him/her. Thomas W. Jones, Ph.D., CG, CGL talked about Inferential Genealogy, deducing ancestors' identities. Linda Woodward Geiger, CG, CGL talked about what to consider when making a personnel genealogical web site. Thomas W. Jones, Ph.D., CG, CGL talked about teaching Genealogy at the College Level at Boston University. Classes are both in the classroom and on-line. Pamela Boyer Sayre, CG, CGL talked about GEDCOM (GEnealogical Data COMmunications) files which are special forms of text files used for transferring genealogy data between genealogy programs without retyping the data. They can be read by any word processor and have the file name extension of ".ged". Leslie Bouvier talked about do Scandinavian research. Sharon B. Hodges talks about early naturalization records in the United States. Leslie Bouvier, a professional editor, talked about how she edited papers. Chuck Mason talked about World War II draft requirements and how to get them. Sharon B. Hodges talks about doing research at different repositories for information. Our hosts talked about how they keep track of the many paper documents they collect and of locations they have already checked. Steve Morse talked about his 1-step web pages. Chuck Mason talked about the different World War I draft requirements and how they are useful for genealogy. When the 1940 census is released in April 2012, it will not have a name index. Such an index will not be available for perhaps up to six months after opening day. So finding people in the census will involve searching by location instead. Dr. Stephen P. Morse told how to find your names by finding the proper Enumeration Districts (EDs) by using his One-Step website, so the census can be accessed. Colleen Fitzpatrick, PhD, a forensic genealogical consultant for major military and civilian organizations, talked about the identification of the remains found in the wreckage of Northwest Flight 4422 that crashed in Alaska in 1948; identified the remains of the Unknown Child of the Titanic; and several other cases. The web site is "http://www.identifinders.com/" and the blog site is "http://identifinders.wordpress.com/". Cherly D. Crosby talked about the vast quantities of archived historical information which previously furnished only on microfilm that is now available on the internet as full text searchable databases by Accessible Archives. Linda MacLachlan talked about early New England research. The comprehensive index mentioned on the show can be find at http://www.americanancestors.org/pre-1636-new-england-immigrants/. Colleen Fitzpatrick, a forensic genealogist, explained who she can date a picture by looking at minute details overlooked by most of us. Kim Phillips from Sydney talked about the free on-line vital records of Australia. Sallyann Sack and Arline Sachs talked getting started in genealogy. Linda MacLachlan talked about the Mount Vernon Genealogy Society which she is the president. Daniel Horowitz talked about using mobile devices for helping genealogists to sharing family information. Daniel Horowitz, Chief Genealogist of MyHeritage talked about that free web site. Federal Land Records, which date from the founding of this country, including where and how they can be accessed, were discussed by Pat "DearMYRTLE" Richley-Erickson and Chuck Mason, CG. DearMYRTE author of a genealogy blog for helping beginners, showed how easy it is to set up your own blog and to access others. Peggy Pearlstein talked about using the Library of Congress web site. The volunteer crew for the show asked some of their questions. Sandra MacLean Clunies, CG talked about how to plan, produce, and publish for a memorable reunion occasion. She is the author of A Family Affair: How To Plan and Direct the Best Family Reunion Ever. Sandra MacLean Clunies, CG talked about strategies for identifying “the lost ladies” in your lineage. Sallyann Sack talked about "Halbrook's original name" and how she found it without too much trouble. Boris Feldblyum talked about "False Conclusions" with Sallyann Sack and Arline Sachs. Sharon B. Hodges talked about "Maryland Repostonies"
Sharon B. Hodges talked about "Using Census Records"
Chuck Mason, President of the Fairfax Genealogy Society and former president of Mount Vernon Genealogical Society joined our hosts in answering the question "Why join a genealogy Society?" Our hosts talked about many newly available sources, which are not enough for a full show, but might be important to the viewer. Lindsey l. Tonsager, a lawyer in the media and comunications group at the Washingotn, D.C. office of Covington & Burling, will talk on copyright questions that may arise in the course of genealogical research and the publication of family histories and other works on genealogy. Chuck Mason, President of the Fairfax Genealogy Society, talked about probate records and estate inventories and what could be found in such records. Charles "Chuck" Mason, Jr., CG talked about finding different types of death records such as cemetery record. burial plots and funeral home records. Margo Williams talked about doing Native American Research. Dr. Sacks and Prof. Sachs discuss their recent trip along with 38 others researchers to be the first group to do research at the International Tracing Service (ITS) in Bad Arolson, Germany. This is the location of all Nazi records captured by the Allied Nations. Rita Souther talked about doing American Indian research. Rita Souther talked about Family History Centers. Faith Klein and Arline Sachs talked about what they do with their information. Our hosts discussed the many research facilities that are invaluable for research but that need to be visited in person. Many places have only a small portion of their data on-line, or have only an index of their holdings. It is necessary to understand what can be found and how to access that data. Sallyann Sack, who just returned from ITS (International Tracing Service) in Arolson, Germany explained the advantages of a person doing research there. 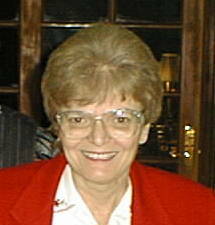 She and Gary Mokotoff will lead the first tour there, from May 5 to 9, to do Holocaust research. The overall index which includes everyone who even asked about anyone is available only there. To register for the trip contact Gary Mokotoff. Jeffery S. Malka will go online to show his "Sephardic Genealogy" web site "http://Sephardicgen.com". Documentation: After interviewing family, one must follow-up by finding documentation for the people or events mentioned. The most common types of documents were discussed and sources for many were given. Interviewing:Sallyann Sack and Arline Sachs discussed the very important activity of interviewing when beginning doing genealogy. Different techniques and methods were explained and the types of questions to be asked were mentioned. Micheal Matsas, author of "The Illusion of Safety, the Story of Greek Jews during the Second World War" talked about his book and where he found the information. One place was the Franklin D. Roosevelt Presidential Library and Museum in Hyde Park, New York. The 10th anniversary show reviewed some of the highlights of past shows and previewed upcoming topics. One new web site mentioned was Famillion.com, which is a world wide family record project that will try to connect people all over the world. 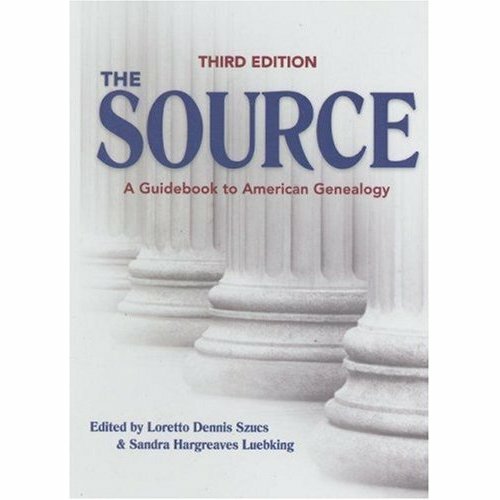 "The Source, A Guidebook to American Genealogy" is the definitive reference for genealogical research in the US. New in this edition are materials on doing research on the internet, something genealogists now need to learn. Also mentioned was a new web site call Footnote.com where 2 millions National Archives' images are being added each month. Elias Savada tells us about the various resources he uses to trace his family in New York City. His guide was the book "Genealogical Resources in New York" published by the Jewish Genealogical Society of New York. His uses the microfilms of vital records at the New Your City Municipal Archives. Before going there, he assembles a chronological list of records he wants to examine/photocopy by using databases from the German and Italian Genealogical Groups. Steven Morse’s website makes searching these databases much easier. Savada places all the retrieved certificate numbers into a computer spreadsheet and sorts it by date to make finding the information at the Municipal Archives easier. He also mentions that pictures of many tombstones from upstate New York are found at JewishData.Com and the New York Times which can be found at some local county libraries that subscribe to ProQuest. Our hosts talked about different phonetic algorithm "Soundex" for indexing names by sound, not by spelling, in different databases with names. 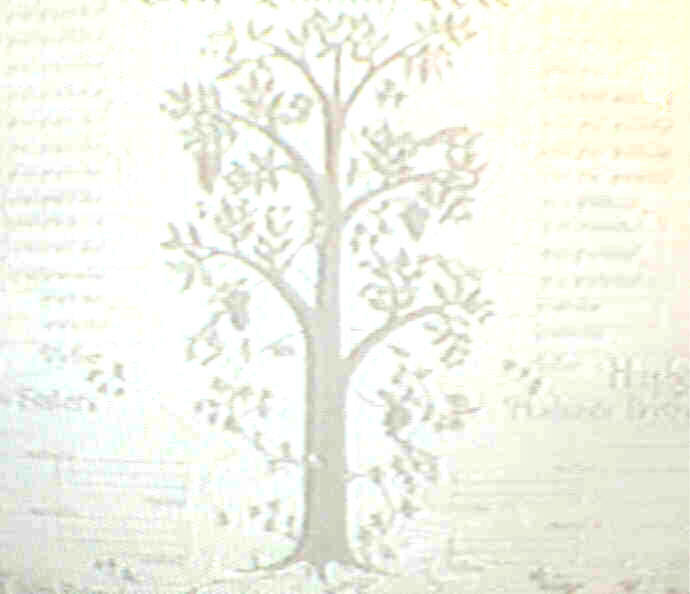 Genealogists are very good at doing research and collecting many facts about our families. For a number of reasons, however, most of us delay publishing the results of this research. Mike Karsen, a professional genealogist, explained how to write your family history in books that vary from a simple 30 pages to one that contains detailed biographies and places your family in historical context. Your goal should be to organize your findings and share them with your family NOW! Benjamin B. Terner explained how he encouraged and helped people to write their family memoirs as short stories. By giving people one topic, such as 'your mother' to write about, successive meetings end with a creative description of the family one knew. Suzanne Levy, librarian of the Virginia Room at the Fairfax County library in Fairfax City, Virginia explained how the library has become a major resource for Jewish genealogy. She showed some of the reference materials that are available there and explained how individuals can make use of these resources, some of which are online. She also mentioned how local libraries are a useful source for doing genealogical research. Edward David Luft explained how he located where a missing ancestor not originally find in the 1860 census was by using tax records at the National Archives and land maps at the Library of Congress. Books mentioned were A Checklist of the Nineteenth Century County Maps in the Library of Congress and United States Department of Commerce's "Twenty Censuses: Population and Housing Questions, 1790-1980"
Stephen H. Snell talked about the initial steps that have been taken in planning the Snell family reunion for October 2009. First he had to find others people who are descened from the Thomas Snell who came over from England in the 1639. Some interested respondents became planning committee for the reunion. The committee created into four subgroups - arrangement, history, DNA and publicity. The book used for planning the meeting was Great Meeting, Great Results by Dee Kelsey and Pam Plumb. Our hosts talked about methodology for beginning genealogical research. The discussion was based on the first chapter, Methodology: How to be a Genealogist by Eileen Polakoff, from the book Avotaynu - Guide to Jewish Genealogy. Edna Bentz's If I Can, You Can Decipher German Records. Richard DiBuono talked about doing research on the web and in Italy. The following sites were mentioned on the show. Naomi Baumslag, MD, MPH talked about her book Murderous Medicine Nazi Doctors, Human Experimentation, and Typhus. More than 1.5 million concentration camp prisoners plus others in ghettos died of typhus, a preventable disease because Nazi Germany deliberately sought to create environments that would engender typhus. Sallyann Sack spoke about a future project of the International Institue for Jewish Genealogy which is to reconstruct Holocaust destroyed communities. In one town already use as a test, family trees in the form of 25 GEDCOM files were combined using GenMerge. The results discovered over 30 additional names of unknown persons missing. Peter Lande talked about the possible access to the International Tracing Service data now that the Germany government has change their position on making them available to other governments. Downsizing and preserving your valuable documents. Resources an author of an article in Avotaynu used to trace some of distance cousins. Warren L. Miller, Commission Chairman of the US Commission for the Preservation of America's Heritage Abroad talked about the Commission which was created by Congress in 1985 in response to concerns about the deterioration and destruction of cultural sites in Eastern and Central Europe of significance to U.S. citizens. Our hosts goes online to demonstrate the following free websites that they found to be useful in their own genealogy: Family Search, Steven Morse, Hamburg Records, Yad Vashem, JewishGen and Avotaynu. 18th and 19th century Southern Germany with author Emily C. Rose - She told how she did the research for her book "Portraits of Our Past: Jews of the German Countryside" and gave helpful hints to doing research in Germany. Patricia Walls Stamm, GM, CGL talked about lists and city directories. Sallyann Sack talked about New York and other states' Freedom of Information Laws. Our hosts taked about common mistakes in genealogy. Bernice Kaufman and Shifra Cheilst talked about there trip to Poland. Pat Stamm, the education manager of the National Genealoical Society, talked about using the Family Search web site. (2 shows). Do you want to see the shows on your local cable access community television stations? If your local cable system has any non-profit PEG (Public, Education, Government) Community Television Stations on it, the shows can be transfer from PEGMedia.org for a cost of less than one dollar each for showing on that non-profit station. It is easily done but your have to do some work. Each local cable access station has its own rules, but generally if you are a resident of that area, you can ask them to run specific shows. If you would like to see the shows on your local cable, please contact your local PEG station. Find out exactly what their requirements are to carry the shows. Tell them the shows have been shown on FCAC's main channel and as least one show have been downloaded by over 100 stations. For information about the series, e-mail the producer Sidney Sachs.